Tarin Breuner is a Northern California author. She knew at a young age that she had a passion for writing and exercises that passion regularly. Tarin witnessed first-hand some of the devastation as well as the beauty of the year 2017 in America; the sharp comparison of the two being her direct inspiration to write this book about the many hardships and triumphs of the past year. She produced this book with a purpose of showcasing the power of love and hope in times of tragedy. America is a land of hope and of freedom, but also a land of contradictions and distrust. With so much to live for and so much to lose, what better way to understand than to put it into a poem? By looking at the good and the bad, understanding what’s happening in the world and our country as a whole, it’s possible to really see what it means for us and for everyone around us. Experiencing the love, the distaste, the happiness, the sadness and more is definitely possible in 2017 by Tarin Breuner. This collection is full of beliefs, feelings and thoughts on the entire year of 2017. It’s focused on the good and the bad as well as the in between. It’s about the things that we have done right as a country and the things that we have done wrong. You’ll see, as you read through this work, the thoughts and feelings of the author coming through, and you’ll feel those emotions and see those things inside yourself as well. It forces you to remember what’s been happening and to look toward the rays of hope throughout the year as well as the ones that will continue to come, because our country is one of hope and success for all. Tarin Breuner's 2017 is a way of looking at the events of the past year and really reflecting on what it means to be an American, and what it means to stand for what we have always stood for as a country. 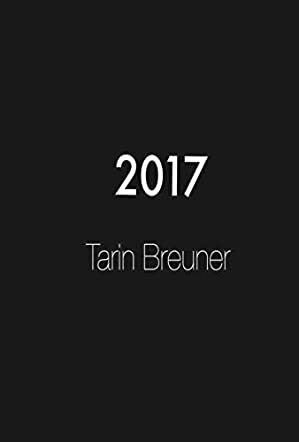 Tarin Breuner's 2017 is a poignant book of American poetry highlighting the significant events of the same year. This was a landmark year for America. Follow the lyrical path as you explore the many tragedies that occurred, as well as the many laws changed for American citizens. Touching on immigrants' loss of their rights, sexism being put to the test, and a KKK uprising with heartbreaking results, these poems highlight the pain of 2017, but in contrast showcase a distinction of love born out of the hate, discrimination, and death. This book covers the virtue of love and life, proving that love can conquer fear and hatred. Discover hope and unconditional love, and above all, let this book of poems be a gentle reminder that if we live in love, we can achieve anything. Tarin Breuner's 2017 is a beautiful, yet realistic look at the major events that took place in the year 2017. Last year's headlines were filled with natural disasters that took thousands of lives and left as many homeless, discord, the division of states, sexism, horrific acts of racism, inexcusable acts of negligence, and acts of hate without due consequences. Also featured were stories of heroism, pure love, hope, and unity. With so many tragic incidents in the headlines, it was hard to see the positive through the pain. I appreciate that the author was able to balance the positive with negative. I can see this poetry collection becoming a token of American history. I would recommend this book to those that enjoy challenging their perceptions and are looking for a brighter tomorrow.